The company has partnered with Indian Post office and buyers can now pre-book the device by making a minimum of Rs 500 at any post office in Maharashtra and Goa. Reliance Big TV has partnered up with Indian Post Office to offer pre-bookings of its Set-top Box from over 12000 post offices across Maharashtra and Goa. The device can be prebooked by making a payment of Rs 500. The HD HEVC Set-Top-Box by Reliance Big TV comes with support for scheduled recording, YouTube, recording and viewing channels simultaneously, and a USB port. The STB comes with an offer under which users will get to view pay channels for free for one year, including HD channels and up to 500 FTA channels for 5 years. The pre-booking for Reliance Big TV has commenced from March 1, 2018 and interested customers can avail the latest offer on Reliance Big TV website (www.reliancebigtv.com) with booking amount of Rs 500 at a post office. On receiving the unit, they will need to pay the balance amount of Rs 1500. They can also earn a loyalty bonus by recharging with Rs 300 per month from 2nd year onwards for all pay channels for next 2 years with Reliance Big TV to get back Rs 2000 as a loyalty bonus in the form of recharge. Delivery will start after 30-45 days from the date of booking. Following its path-breaking announcement of offering effectively zero cost entertainment to 130 Cr Indians, Reliance Big TV has partnered with 12,000 India Post Offices across Maharashtra and Goa for consumers to do initial booking by making payment of Rs 500/- thru post offices. The effectively FREE HD HEVC Set-Top-Boxes, as promised by Reliance Big TV, can now be booked through 12,000 India Post Offices across Maharashtra & Goa. Commenting on the latest development, Director, Reliance Big TV, Mr. Vijender Singh said “With its recent offer, Reliance Big TV disrupted the digital entertainment space in India. We are glad to partner with 12,000 India Post Offices across Maharashtra & Goa. India post has an incredible reach, which is unrivalled by any other logistics partner and the same would help the customers to book this incredible offer by paying Rs 500/- at any of the post office in Maharashtra & Goa. Now, every Indian household can have at their disposal, effectively free and high-quality entertainment and every aspiring student can enjoy complimentary access to education content, with our HD HEVC Set Top Boxes, which can be booked via India Post Offices. 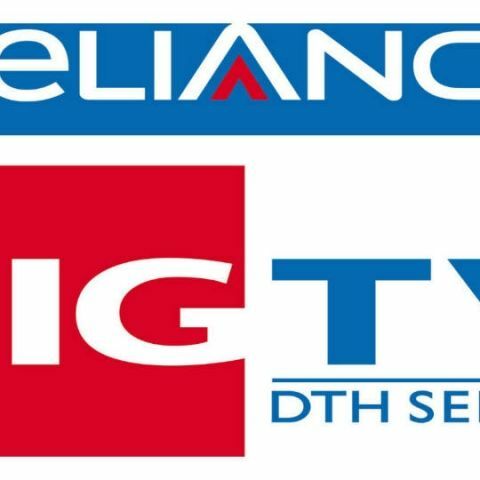 Reliance Big TV is further extending its pan-India network to fully support its customers and provide an enriching content spanning Entertainment, Movies, Sports, News, infotainment, Education, kids content and more. Its latest, cutting-edge HD HEVC device is set to offer superior digital quality viewing. Furthermore, the HD HEVC Set-Top-Box by Reliance Big TV comes packed with latest features, such as schedule recording, USB port, YouTube, recording & viewing channels simultaneously. The latest incredible offer first time in India by Reliance Big TV provides plethora of pay channels absolutely free for 1 year including HD channels & up to 500 FTA channels free of cost for 5 years. Further, the Director claims to support digital India Initiative by bringing urban & rural India on same platform for entertainment & education with unified consumer offer. The pre-booking of the latest offer by Reliance Big TV has already commenced from 1st March 2018. Users can avail the latest offer on Reliance Big TV website (www.reliancebigtv.com) with booking amount of INR 500/- at a post office. On the receipt of Set-top-Box and outdoor unit (ODU), buyers have to pay the balance amount of INR 1500/-and enjoy plethora of pay channels absolutely free for 1 year including HD Channels and up to 500 FTA channels free of cost for 5 years. Anybody know when this big screen Lenovo K920 will be coming ?